The sample accounts receivable resume presents the skills and strengths of the job candidate in a well-structured format. Send the message about your suitability simply and clearly with a professional resume. Identify and explain your relevant accomplishments in your resume to demonstrate your contribution to the company's operations. Employers want to know about your ability to successfully meet the job requirements and objectives. 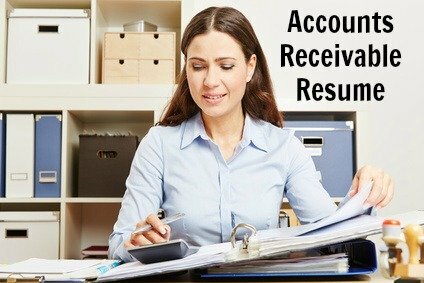 Use your accounts receivable resume objective and profile statement to highlight why you are the right candidate for the accounts receivable job and get ready for the interview. A demanding accounts receivable position in a reputable company. To secure a responsible accounts receivable position with an established company. Accounts receivable specialist in a professional company. with experience in managing over X accounts. Excellent organizational and problem-solving skills ensures a streamlined and efficient billing system. Successful increase in collections of X%. Proven ability to maintain precise records and proficient in a number of accounting applications. A hard worker with strong customer communication skills. A competent and independent worker with more than six years experience of the full accounts receivable function. Excellent communication skills utilized in resolving customer queries. Sound knowledge of collection and claims procedures. Attention to detail and organizational skills evident in the preparation of accurate weekly and monthly reports within tight deadlines. Good understanding of general accounting procedures. functions in a high volume retail environment. Proven competence in efficiently tracking payments. Strong problem-solving and communication skills demonstrated in successful resolution of customer billing issues. Recognized as a dedicated worker who is driven to meet accounts receivable targets and contribute to the company's profitability. 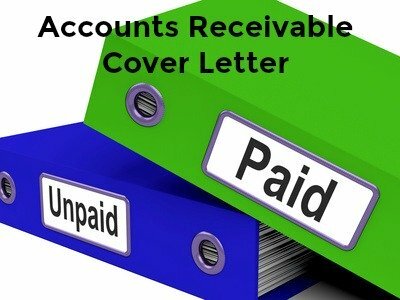 Your accounts receivable cover letter is the most effective way to introduce yourself and get your resume noticed. How to write a strong accounts receivable resume objective. Include the right resume keywords to create a winning resume for the accounts receivable job. Always include a convincing cover letter with your resume and job application. Are you preparing for your job interview? View these accounts receivable interview questions to know what to expect.